Orthorexia nervosa, the “health food eating disorder”, gets its name from the Greek word ortho, meaning straight, proper or correct. 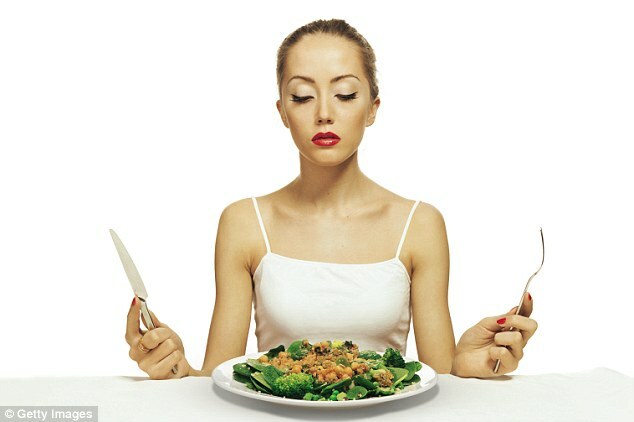 This exaggerated focus on food can be seen today in some people who follow lifestyle movements such as “raw”, “clean” and “paleo”. Raw food followers might meet regularly to “align their bodies, minds and souls” by feasting on “cleansing and immune-boosting” raw foods. Such foods are never heated above 44˚C, so “all the living enzymes in the food remain intact”. No gluten, dairy or “sugar” is allowed. Clean eaters may follow similar regimes, removing gluten, dairy and even meat from their diets. You might overhear a discussion about “superfood green smoothie” recipes after a yoga class that also happened to “cleanse your gall bladder”. And finally, around the corner, paleo pushers may “beef up” together with a Crossfit class, followed by a few steaks. Again, with paleo, there is no gluten – or any grains for that matter – and no dairy or other such “toxins” are allowed. They may be “plunged into gloom” by eating a piece of bread, become anxious about when their next kale, chia or quinoa hit is coming, or eat only at home where “superfood” intake can be tightly controlled. Such behaviours can have a significant impact on relationships with family members and friends, let alone on their mental health. 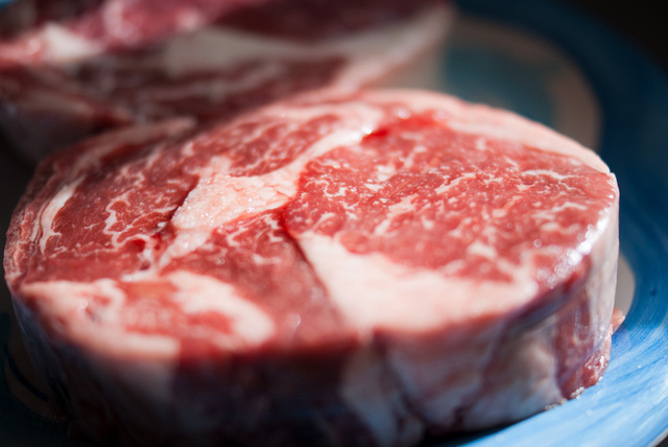 Under the paleo regime, steak is in but dairy is out. Orthorexia nervosa is not a clinically recognised eating disorder but researchers have developed and tested questionnaires in various populations to get an idea of its prevalence. Italian researchers developed the ORTO-15 questionnaire in 2005, with a cut-off score below 40 to signify orthorexia nervosa. Scores above 40 can still signify a tendency to pathological eating behaviours and/or obsessive-phobic personality traits. Using this questionnaire and cut-off value of 40, another Italian research group reported a prevalence of orthorexia nervosa of 57.6%, with a female-male ratio of two-to-one. However, using a cut-off value of 35, the prevalence reduced to 21%. Most studies have been conducted in population sub-groups that may be at increased risk for orthorexia nervosa, such as health professionals. Again using the ORTO-15 and a cut-off value of 40, the prevalence of orthorexia nervosa in Turkish medical doctors was 45.5%, in Turkish performance artists it was 56.4% (81.8% in opera singers to 32.1% in ballet dancers) and in ashtanga yoga teachers in Spain, 86.0%. 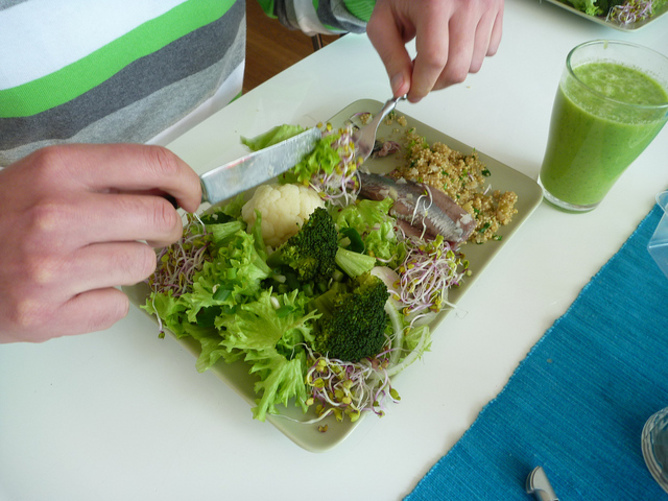 Using another questionnaire, the Bratman Test, 12.8% of Austrian dietitians were classified as having orthorexia. Orthorexia nervosa is not listed in the American Psychiatric Association’s Diagnostic and Statistical Manual (DSM-5), which psychologists and psychiatrists use to diagnose mental disorders. The DSM-5 currently lists anorexia nervosa, bulimia nervosa, binge-eating disorder, “other specified feeding or eating disorder” and “unspecified feeding or eating disorder”. Some clinicians argue orthorexia nervosa should be recognised as a separate eating disorder and have proposed clinical DSM diagnostic criteria. They note distinct pathological behaviours with orthorexia nervosa, including a motivation for feelings of perfection or purity rather than weight loss, as they see with anorexia and bulimia. Under a strict raw food diet, no gluten, dairy or ‘sugar’ is allowed. It’s also important to consider that people can move between mental disorder classifications. Sometimes labels may not be as important as providing solutions to patients with disordered eating, such as cognitive-behavioural therapy. Don’t trust all-devoted kale consumers, including health professionals and celebrities, if their advice isn’t based on scientific evidence. Rather than eat my sprouts (or kale) alone, it would be better for me to share a pizza with some friends. Rebecca will be on hand for an Author Q&A session between 2 and 3pm AEDT on Friday March 27. Post your questions about the article in the comments section below.